Slip into an island home away from home the moment you arrive. 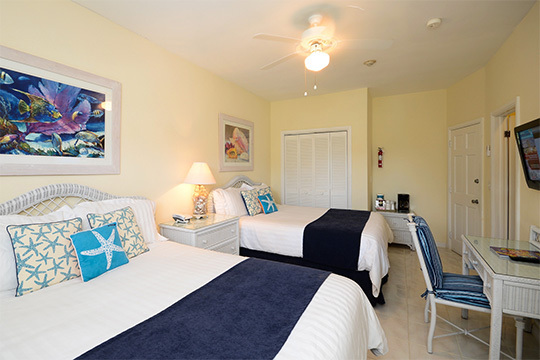 At Sandyport Beach Resort, our spacious residential-style guest rooms and suites feature vibrant original artwork by local Bahamians and custom screen-printed throw pillows by Bahama Hand Prints, creating a breezy island oasis to call home. 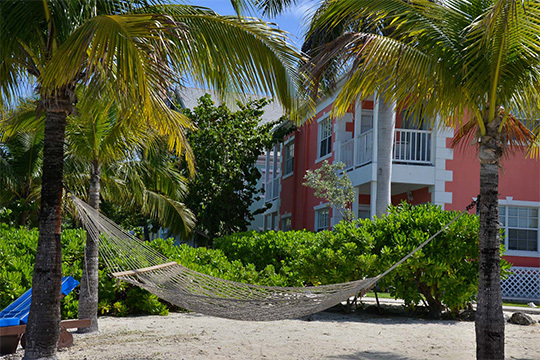 All are located within colorful canal-front or Lagoon Beach-front villas just a short stroll from the ocean beach. The Grand Canal Deluxe Suite is our signature room and perfect for that romantic escape. While the best way to experience The Bahamas with your family is to spread out in one of our two or three bedroom deluxe suites. 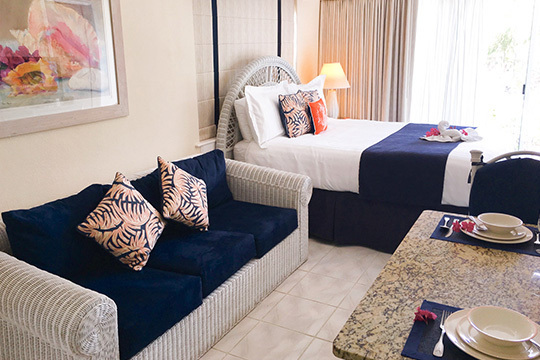 They offer all of the amenities of our deluxe suite plus the additional bedrooms to accommodate your family in comfort. 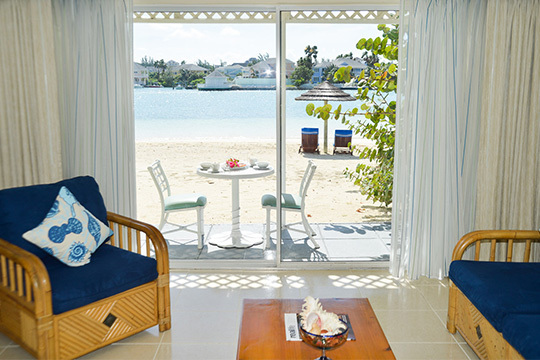 Want to step out of your suite directly onto the sand then ask for the downstairs Lagoon Beach Suite. 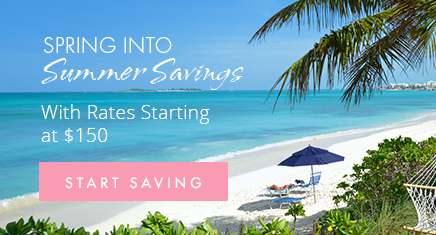 Alternatively, if you’re looking for a beach vacation with a value option, look no further than our hotel bedroom and studio with either 1 or 2 Queen beds. All rooms offer free WiFi.